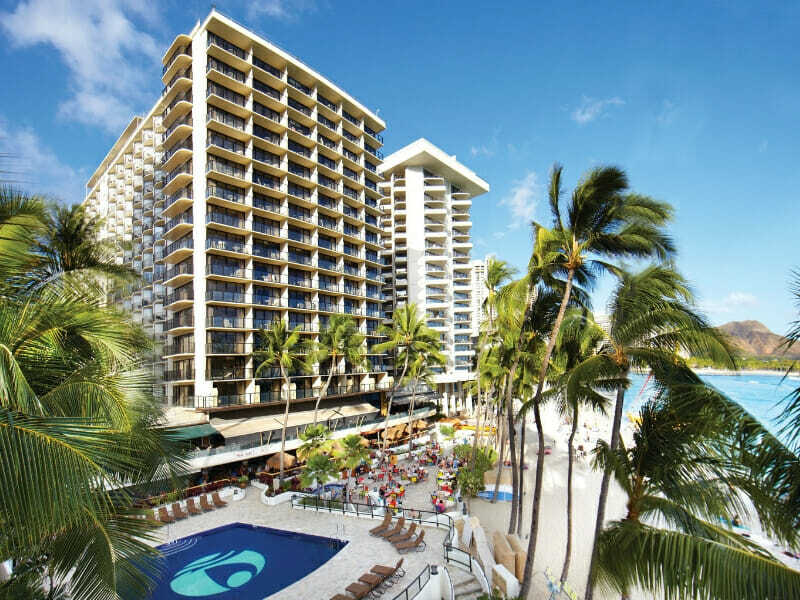 A beach-goers dream, Outrigger Waikiki Beach Resort is located on the beachfront of the world-famous beach in Waikiki. Experience the award-winning guest experience at this resort the minute you walk in the door. 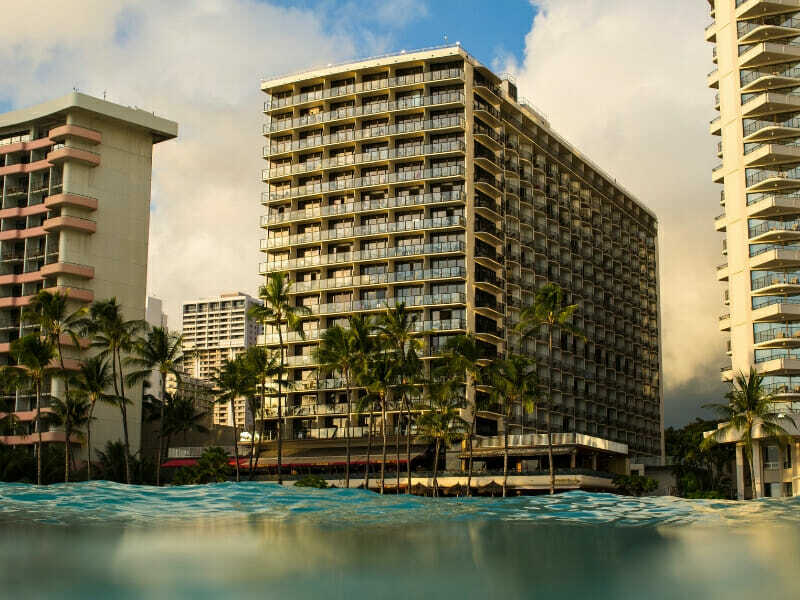 Known for its welcoming atmosphere and exception service, Outrigger Waikiki Beach Resort is one of Honolulu’s premier resorts boasting a central location along one of the busiest streets in Waikiki. Home to the famous Duke’s Waikiki Restaurant treat yourself to a palate-pleasing meal while enjoying nightly entertainment. Dip your toes in the resorts swimming pool or unwind with a spa treatment at the day spa, Infinity Massage. 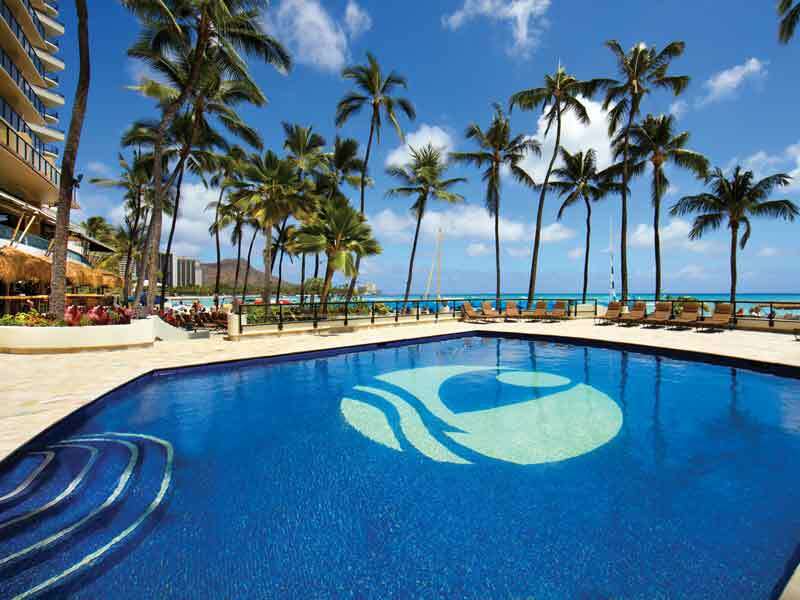 Immerse yourself in the Hawaiian culture and participate in the range of cultural activities offered by the resort. Stay at Outrigger Waikiki Beach Resort and watch your worries disappear into the waves as you indulge in luxury, elegance and cultural. Outrigger Waikiki Beach Resort is proud to offer no resort fees, meaning you don’t have to worry about paying anything on check out (maybe except the tab for the mini bar!) since all accommodation fees are paid for with My Hawaii. Located amongst the energetic city hub right on the beachfront, Outrigger Waikiki Beach Resort is a prime resort for all travellers. Gaze down upon energetic Waikiki Beach from your City View (King) room! Set facing the dazzling Waikiki skyline, these 33sq. metre rooms offer all you’ll need for a relaxing and comfortable stay. Sink into plush King bedding or admire the view from the couch. City View (King) rooms feature a private balcony, an en-suite with a bathtub/shower combination, air-conditioning, blackout drapes, a fridge, a coffee maker with complimentary coffee, a daily maid service and more! City View (King) rooms can accommodate up to 2 guests. 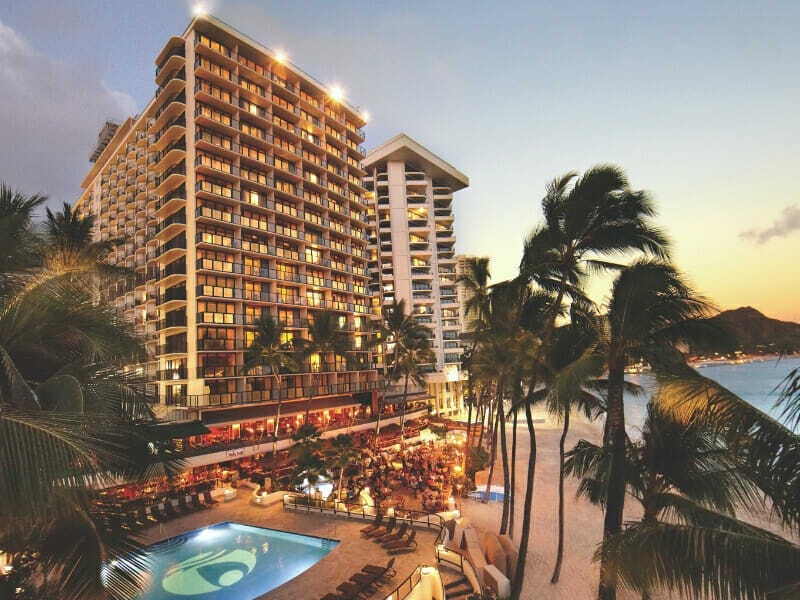 Stay close to the action in the heart of thriving Waikiki Beach. City View (Double) rooms offer incredible views of the Waikiki city skyline and offer a real sense of place! They feature 2 Double beds or 1 Queen and a Double sofa, air-conditioning, an en-suite bathroom with bathtub/shower combination, cable TV and pay TV movies, a daily maid service, fridge, coffee maker and a turn down service on request. 6 of these rooms offer roll-in showers and 3 have grab bars in the bathtubs (for accessibility purposes) and all have a balcony so guests can make the most of the view. City View (Double) rooms are 33sq. metres and can accommodate up to 4 guests. Wake up well rested in this glorious light-filled space. Boasting a plush King bed, balcony facing the ocean, air-conditioning and blackout drapes, you can choose to either embrace the coastal breezes, or retreat into your private haven! Partial Ocean View (King) rooms are 33sq. metres and feature a coffee maker with complimentary coffee, daily maid service, a fridge, en-suite bathroom with bathtub/shower combination, alarm/clock radio and a turn down service on request. They can accommodate up to 2 guests. 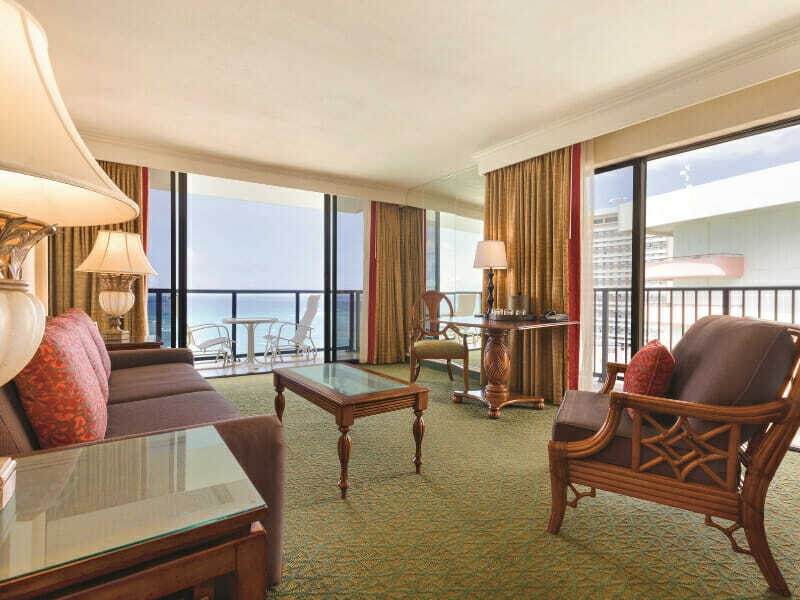 Treat the family to views of the Pacific in a Partial Ocean View (Double) room. 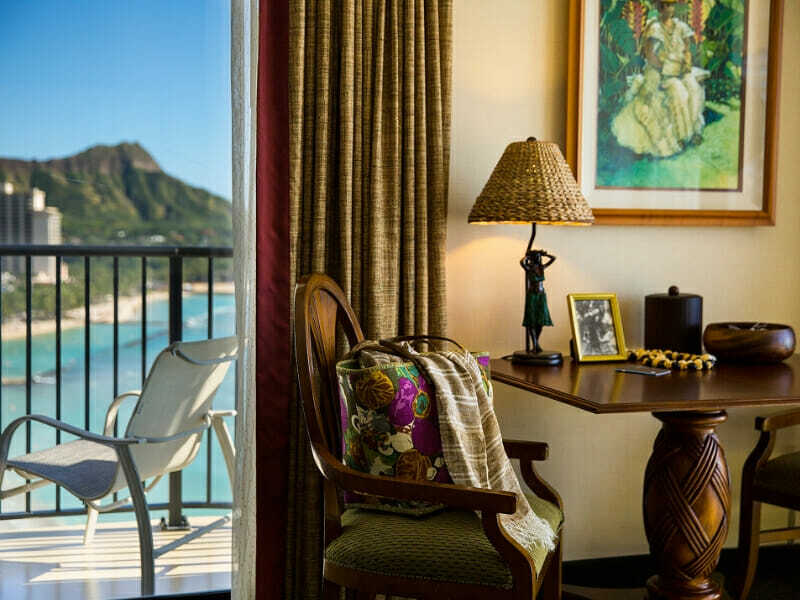 Set high and offering images of both the ocean and the Waikiki skyline, these rooms offer the best of both worlds! They feature 2 Double beds, a lounge area with sofa, air-conditioning, TV with cable and pay TV movies, a coffee maker with complimentary coffee and more. Every inch of the 33sq. metre area is well appointed, including the en-suite bathroom with bathtub/shower combination and the large sliding doors to the balcony allow the space to be naturally light-filled. Partial Ocean View (Double) rooms can accommodate up to 4 guests. 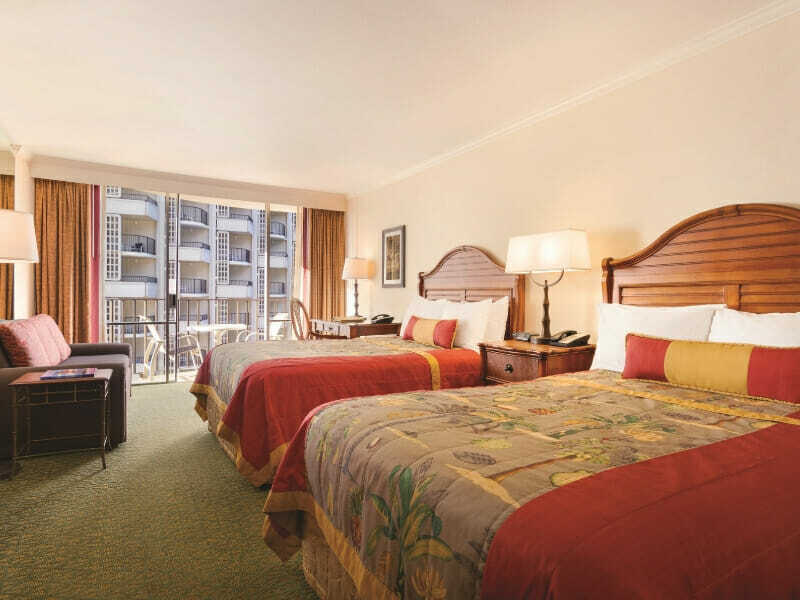 Set on Kalakaua Avenue on the beachfront of Waikiki Beach, Outrigger Waikiki Beach Resort is centrally located and only a 25-minute from Honolulu International Airport. 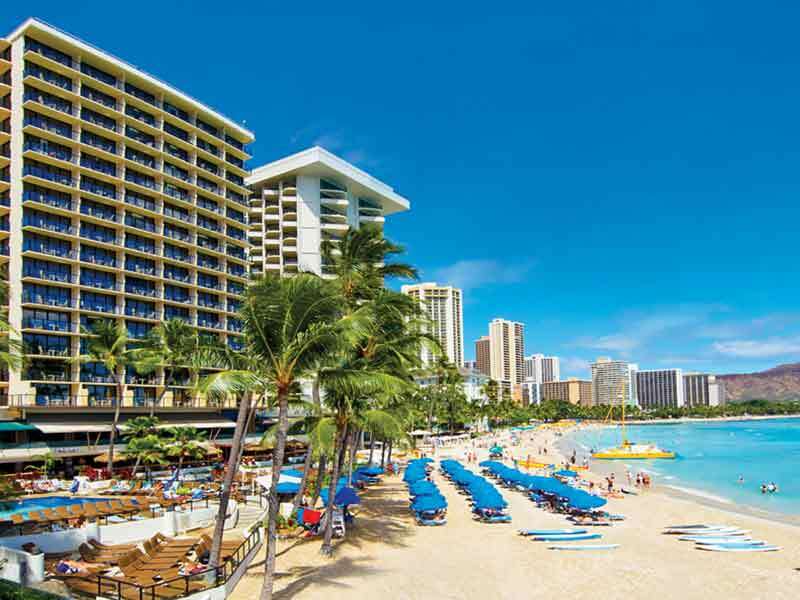 Located on the shore of Waikiki Beach, Outrigger Waikiki Beach Resort is a beach-lovers paradise. Dive in the range of water activities around Outrigger Waikiki Beach Resort. See the Waikiki Beach Boys for a lesson in surfing on the gentle waves at Waikiki or head southeast of the resort for a snorkelling experience at Hanauma Bay State Park marine sanctuary. Venture to one of Hawaii’s most recognised natural formations, Diamond Head Crater, for 1.3km hike and observe the scenic 360-degree view of Oahu’s south coast. Alternatively, simple just relax and indulge in everything the resort has to offer. Unwind completely at the Infinity Massage day spa with a traditional Hawaiian massage or speak to the fitness consultants to help you design a custom wellness routine for your holiday. Join the weekly oceanfront yoga classes each Saturday morning. Treat your tastebuds to cultural diverse dining experience and choose one of the resorts acclaimed restaurants. 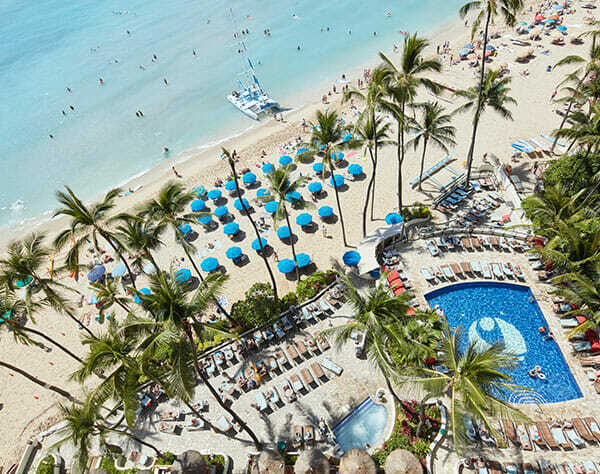 Whether you were lured to Hawaii by the sun, the surf, the romance, the shopping or the adventure, Outrigger Waikiki Beach Resort is the resort for you. We booked a MyHawaii holiday with you way back in March. We went last week, returning Saturday evening. I want to let you know that it was absolutely fantastic! We stayed at the Outrigger Beach Resort, where you step out from the hotel straight onto the sand!! It was wonderful because sometimes what you think you’re getting, and the reality, don’t match. This was beachfront all right! It was a beautiful hotel where they can’t do enough for you. We had a partial ocean view room and the view from our balcony was very pretty with the palm trees, water, swimmers and board riders visible! The arrangements made by your company were, as always, very precise-they are always beautifully done, with backup and help always available when needed. This is always most reassuring when you are far from home. We have done a MyFiji in the past with a group comprising 10 adults, 2 children and 2 babies! This went like clockwork, too, and we are all going again next March (with another baby born since). Can’t wait!